Doctor Who is a program I’ve watched from its inception in 1963 to the present day. It’s one particular program I played as a kid, with me in the role of the Doctor (of course). In those days, though, The Doctor was played by William Hartnell. The back garden of my house was the inside of the Tardis and the gate leading out into the road was the new planet to explore. I suppose there are parallels to the constant use of the same quarry in the 70s when Jon Pertwee and Tom Baker played the role at various times. Although I have flashes of memory of the epic twelve part story in which he appeared I don’t remember it in great detail; although I do particularly remember the story had the second appearance of another character I liked. The Meddling Monk, played by the late Peter Butterworth. Not long after Patrick Troughton became the 2nd Doctor, Nick Courtney was hired to play the role of Captain Knight in the 1968 serial ‘The Web Of Fear’. However, by a quirk of fate, the actor who was to play Colonel Lethbridge-Stewart dropped out and the director offered Nick this role. Later that year Nick was re-hired for the Cyberman serial ‘The Invasion’, in which he reprised the role of Lethbridge-Stewart, but now promoted to the rank of Brigadier. When Patrick Troughton gave up the role as the 2nd Doctor and Jon Pertwee was appointed the 3rd Doctor, it was decided to exile the Doctor to Earth. 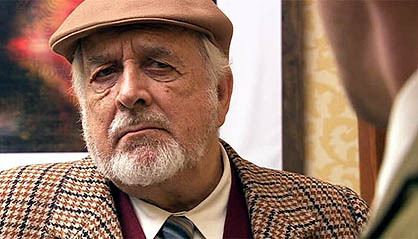 For this, UNIT was given a larger role and thus Nick Courtney began a six-year regular stint on the series. From my point of view, this was a patchy period. My favourite (still) Doctor had left and I didn’t get to see a lot of the 3rd Doctor until his final season, supplemented by a few repeats. At this time I also discovered Target Books which were publishing novelizations of Doctor Who scripts. Other than repeats, it was the only way to enjoy the stories; no video or DVD in those days. 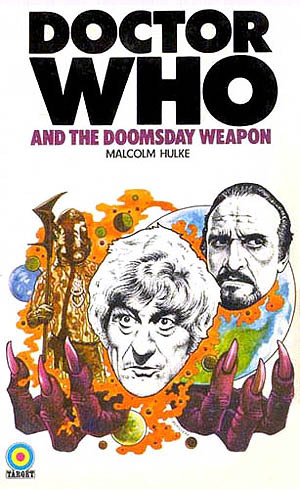 The first one I read was an adaption of the ‘Colony In Space’ script by Malcolm Hulke which was re-titled ‘Doctor Who and the Doomsday Weapon’. I must’ve been 16 years old. It brought me back to the fold. The First Target Dr Who Book I read. When Pertwee left and Tom Baker took over, I only managed to catch the second 4th Doctor story, ‘The Ark In Space’ on a repeat showing. It wasn’t until his 3rd season that I began to watch regularly again. Unfortunately, the Brigadier’s association finished when Tom Baker took over as the 4th Doctor, during his second year in the role. The 4th Doctor travelled more and more in time and space so UNIT, it was felt, had run its course. But Nick Courtney’s association with the series didn’t end there. The character and the actor was brought back in the 1980s, when Peter Davison was the 5th Doctor. The two actors worked together in two of Davison’s earlier series, the comedy ‘Sink Or Swim’ and the light drama ‘All Creatures Great And Small’. He appeared in two serials with the 5th Doctor. ‘Mawdryn Undead’ and ‘The Five Doctors’, the latter story reuniting him with Patrick Troughton’s 2nd Doctor, and at the end Jon Pertwee’s 3rd Doctor. The late William Hartnell died in 1975 so his role was taken by Richard Hurdell. This added to Nick Courtney’s portfolio of Doctor Who actors he’d worked with. I remember enjoying these two reappearances of the Brig, the better story being ‘Mawdryn Undead’, a Brig working in a boarding school with no memory of the Doctor(s). His final time in the series was with the 7th Doctor in the story called ‘Battlefield’, the last broadcast series of the classic era of Doctor Who as it’s now called. 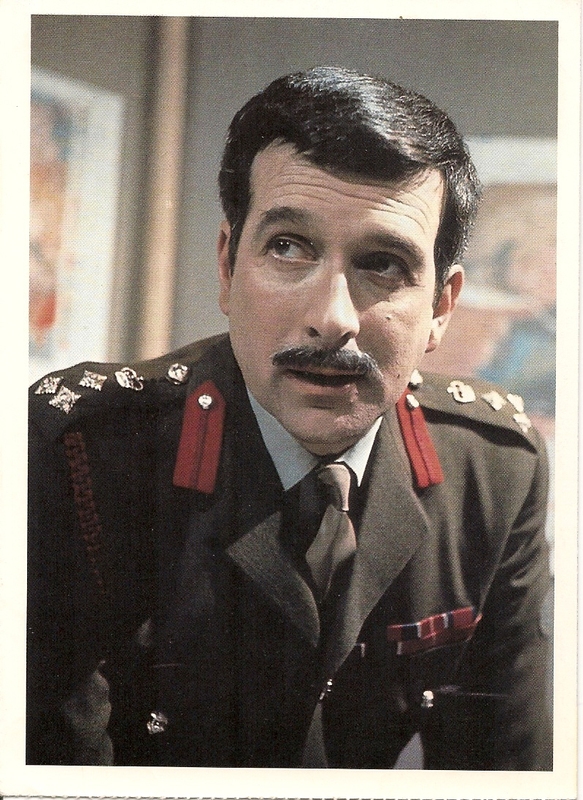 I remembered being a little sad at the rumours that were going around that the Brigadier was going to be killed off. Not a happy Fitrambler, but it was also reported that he’d go out in a blaze of glory. It was around this time Niceman and myself attended a Doctor Who convention. I’d never been to one before for the series or indeed any other series, (and haven’t been to one since) but this one was being held at a hotel not five minutes or so from where both Niceman and I lived. It was at this convention in the late 1980s I met Nicholas Courtney and feel, on reflection, that when people classify him as a gentleman, I understand why. I was at the bar, trying to get served, and although I was next in line, the bloke behind the bar ignored me and went to serve Nick Courtney. However, he pointed in my direction and said I’d got there before him. I tried to say I didn’t mind but he stood his ground. I got my drinks and offered to buy him one but he politely declined, telling me he was part of a rather large round. Yep, that’s it, told you it wasn’t momentous, nor lengthy, but I did speak to him. Ok, not that impressive. Still not impressed. Please yourself! The ‘Battlefield’ story was broadcast and the rumours of his demise proved to be untrue. I was relieved but also, a little disappointed. It would’ve been nice to have the old soldier go out in a blaze of glory. He next played the role in a Children in Need skit, whereby he was reunited with the 3rd, 4th, 5th and 7th Doctors and worked for the first time on-screen with the 6th Doctor, Colin Baker. Dimensions in Time (1993) was about fifteen to twenty minutes long and was an attempt at a form of 3D TV, which is being banged on about a lot more these days. Final appearance as The Brigadier, out of retirement. 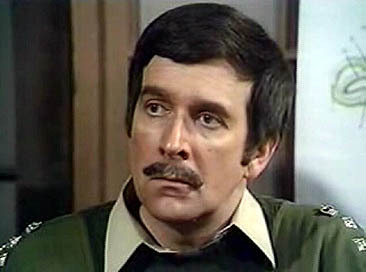 R.I.P Nicholas Courtney (1929-2011) and his alter ego, Brigadier Alistair Gordon Lethbridge-Stewart. Splendid chaps, both of them! All images are used for information purposes only and the copyright remains with the owner.